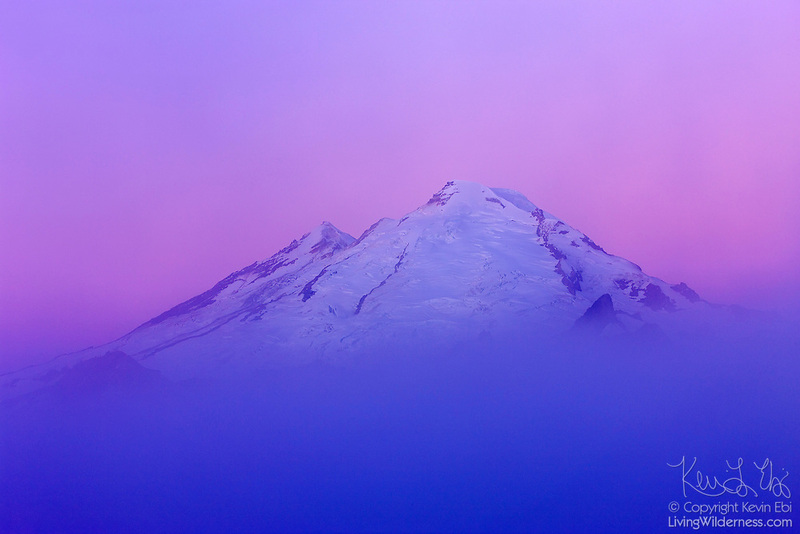 Mount Baker, a 10,781 foot (3,286 meter) volcano located in Whatcom County, Washington state, takes on a pastel appearance through morning fog near Artist Point in the North Cascades. Mount Baker, which is part of the Cascade Range of mountains, has the second-most thermally active crater in the range, second only to Mount St. Helens. Baker's volcanic cone is relatively young, possibly less than 100,000 years old, even though the area where it sits has been volcanically active for 1.5 million years.